Pastels—part crayon, part colored pencil, part paint—are not only a great artistic favorite for their intuitive ease of use, but also for their gorgeous look. Even if you’re not an artist, you’re likely have a box of pastels around somewhere. 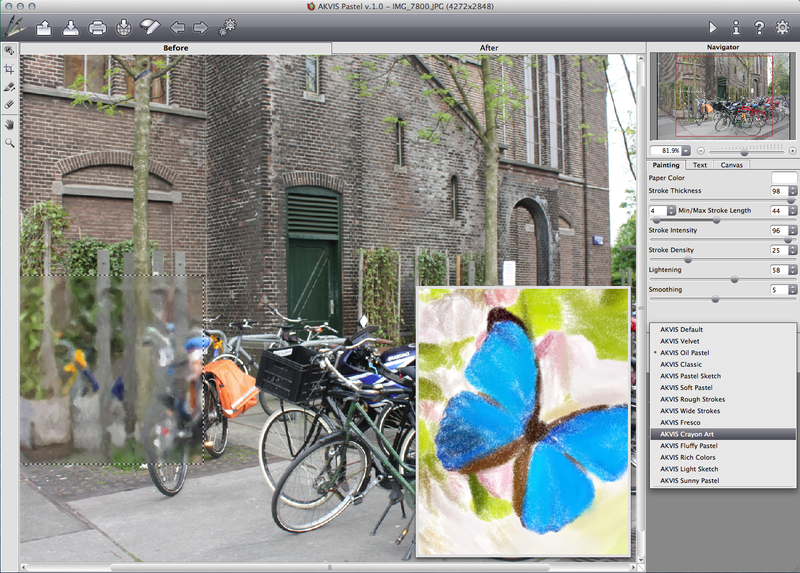 Now you can use them on Mac or Windows with the new AKVIS Pastel, which converts photos in pastel art. 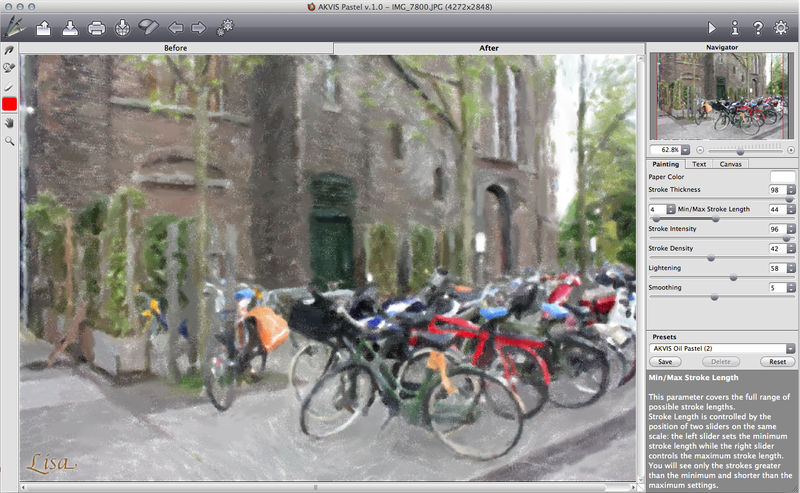 Whereas numerous general purpose painting apps, such as Corel Painter, FotoSketcher, GMSPhotoPainter, and even Photoshop let you apply pastel effects, AKVIS’s new offering specializes in the genre. The application’s brush tools let you refine the preset result by changing stroke direction or adjusting the strength of the effect on different areas of the picture. You can also use the brushes to add strokes to the image. 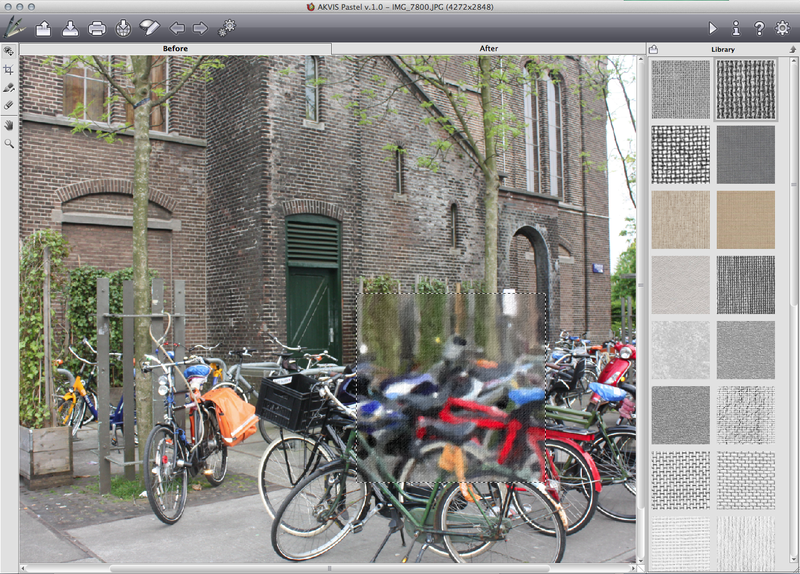 AKVIS Pastel lets you choose from a variety of presets and then adjust them to create a unique look. Unlike oil and watercolor paints, pastels don’t cover the whole surface. The small gaps let the paper or background material show through the strokes, thus boosting the scenic effect. With the software you can choose to paint on sanded paper, MDF board, brick wall and others contained in its built-in library. A text module is also available so you can sign your work. A series of tools such as Smudge, History Brush, Pastel Chalk, Hand, and Zoom let you fine tune your picture. Pastel paintings will look different depending on the painting surface. Pastel offers a selection to choose from. A batch processing option lets you apply an artistic effect to a folder full of images automatically converting all pictures, great for styling a blog or book. The painting module is totally interactive. You can choose from a number of presets and then use the sliders to adjust their effects. A real-time preview of the effect shows up in a small sample area directly on the canvas. Clicking on the After tab paints the chosen effect into the entire window. A click on the canvas shows the full effect immediately. You can switch back and forth between the before and after, but you cannot view them side-by-side. You can use the Pastel toolbar to share your painting directly to Twitter, Facebook and a variety of other social networks. AKVIS Pastel 1.0 is available as a standalone app or a plugin to Adobe Photoshop, Photoshop Elements, and Corel Paint Shop Pro. It costs $49, and is also available as a free 10-day trial. The software runs on Windows XP, Vista, 7, and 8 and on Mac OS X 10.4 or later.